A simple pair of cubic zirconia stud earrings, made with the halo design and held in a four-claw setting and crafted in 9ct White Gold for an easy styling option that has become the essential piece of many jewellery collections. 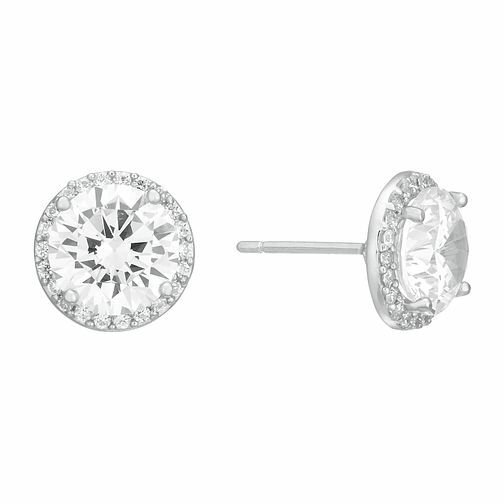 9ct White Gold Round Cubic Zirconia Halo Stud Earrings is rated 5.0 out of 5 by 1. Rated 5 out of 5 by Anonymous from Beautiful and elegant Love these earrings, much bigger than I imagined but twinkle beautifully and can be dressed up or down depends on the occasion.